Google has Google Authorship where users are linked to their Google+ profiles. 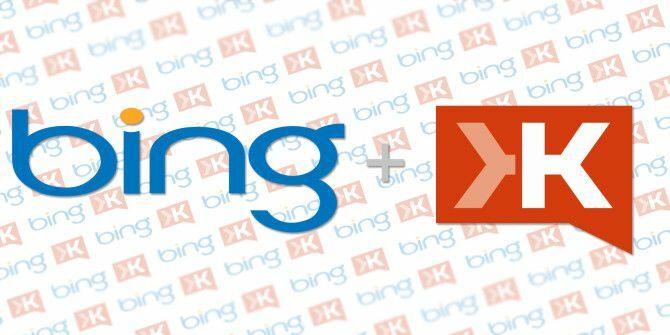 Bing has now taken a page out of their rival’s social book by integrating Klout “Snapshots” alongside search results, which bring up LinkedIn public profiles. If you have a Klout profile, the Snapshots will be a reflection of your social media influence (as measured by the Klout score) alongside LinkedIn and any other social profiles connected to Klout. For anyone working on the Web, it is a good way to expand your social reach and get recognition for your work. Your Klout Score and interest areas. Links to other social profiles you have connected to Klout. Two of your most influential public moments from Twitter (over the past 7 days) and Instagram (over the past 90 days). Snapshots are customizable. You can edit your public profile data on LinkedIn. You can also turn off the Twitter and Instagram mentions on Bing, or if you change your mind, completely opt out of Klout-verified Snapshots by changing your Connected Networks settings on Klout. Of course, the one obvious rider is that you need to have a LinkedIn account to begin with. Do you agree that Klout Snapshots is another useful tool for managing your reputation online? Or would you rather stay out of it? Explore more about: Klout, Microsoft Bing, Web Search.